Chances are you’ve heard of musician, thought leader, blogger and communicator Carlos Whittaker and just didn’t realize it. Maybe you know him because of a certain Beyonce “Single Ladies” viral video that received a People’s Choice Award or from his segment on TLC’s "LA Ink" or maybe it was through his popular blog – Ragamuffin Soul. Whatever the outlet, one thing’s for certain – Carlos Whittaker knows how to make big moments in his life. The calls continued flooding in and the Whittaker’s found their family in America’s spotlight with appearances on shows like CBS Early Morning, The Today Show and more. But for Carlos, his wife Heather and their three children, this viral moment was just a snapshot of the bigger picture. 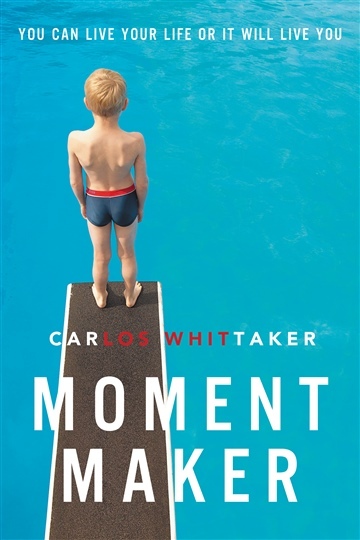 The release of “Moment Maker” on April 1 marks Carlos’ debut as an author, but this journey into writing a book began long before that. Growing up between Los Angeles and Atlanta, Carlos began his movement as a “Moment Maker” early on. From professing his undying devotion to his first love to convincing his best friend to provide moral support in the trunk of his car, each moment has made a significant impact on Carlos’ life. Carlos shows through his stories that in a world where ordinary has become a lifestyle, there is way out of the routine. Each decision in being a Moment Maker plays an integral part into our lives. And when we choose to take that leap, the possibilities are endless.